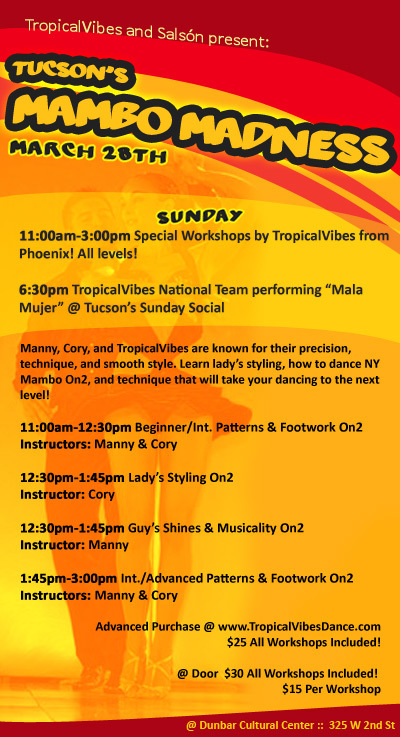 7:00 – 8 pm: Bachata Footwork & Fundamentals (All levels). 8pm – 9 pm: Bachata Body Movements & Isolations (All levels). 9pm – 10pm: Bachata Club Style Partner work (Intermediate). 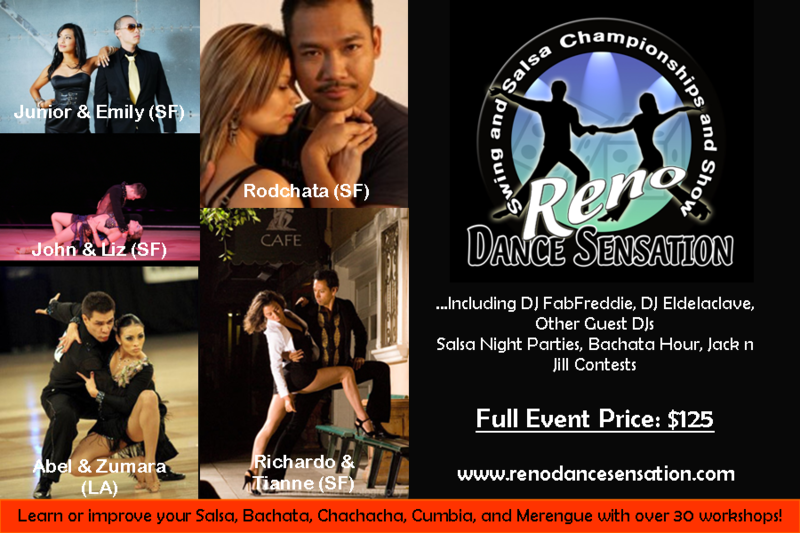 7:00 – 8:00 pm: Bachata Dominican Style, Part 1. 8:00 – 9:00 pm: Bachata Dominican Style, Part 2. 9:00 – 10:00 pm: Bachata Dips and Trick Techniques. On Sunday, October 4th, enjoy 4 hours of instruction and the positive energy of Alejandro Rey, a premier Bachatero from the Los Angeles area! 1-2 pm Crazy Merengue! : The title speaks for itself! New merengue music and dance moves that are a guaranteed hit! Learn the latest individual moves, partnering techniques and combinations. 2:10-3:10 pm, Basic Bachata Fundamentals: Beginner Level, Introducing footwork, 3-step turns, posture, partner connection, resistance and tension and an overall understanding of modern Bachata music and dance. Sydney and Ryan are back with more Cuban dance flavor!